KIEV, May 25. /ITAR-TASS/. 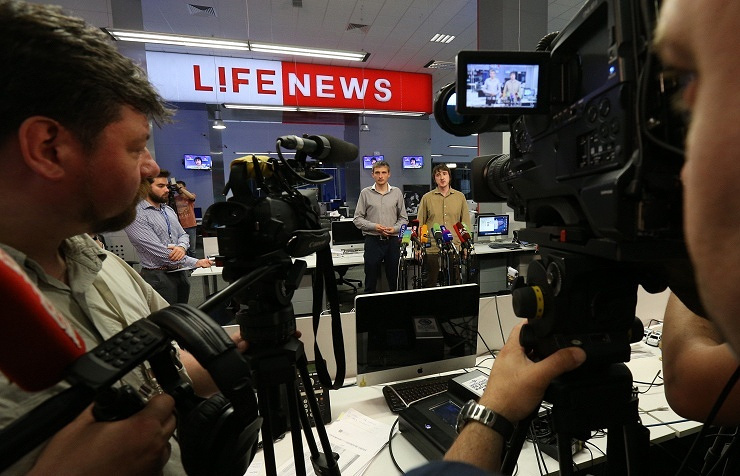 Journalists from the Russian television channel LifeNews, Marat Saichenko and Oleg Sidyakin, have been released at the request of the Organization for Security and Cooperation in Europe (OSCE) and the United Nations, Ukraine’s Security Service claims. “Ambassador and representatives of the United Nations and the Organization for Security and Cooperation in Europe contacted the Ukrainian Security Service on that matter. We met halfway these two organizations,” Viktor Yagun, a deputy chief of the Ukrainian Security Service, told a briefing on Sunday. LifeNews journalists Marat Saichenko and Oleg Sidyakin were detained by Ukraine’s National Guard near the city of Kramatorsk in the eastern Donetsk Region on May 18. They were released from their Ukraine captivity early on Sunday. According to LifeNews, representatives of Ramzan Kadyrov, the head of Russia’s North Caucasian Republic of Chechnya, had negotiated their release in Kiev for several days. This information however was not made public for security considerations. Kadyrov provided a plane, which had stayed in Kiev for almost four days. Overnight to Sunday, the journalists were taken by plane to the Chechen capital Grozny. They reached Moscow in the morning. Upon arrival, they offered their thanks for the efforts taken to have them released.